In this lecture, titled “The Beekeeper: Collecting Oral Histories of Black Southern Queer Women,” Johnson discussed some methodological challenges of being a man conducting research on women as well as addressing some topics that he found to be common among many of the women he interviewed. He also performed excerpts from the oral histories. 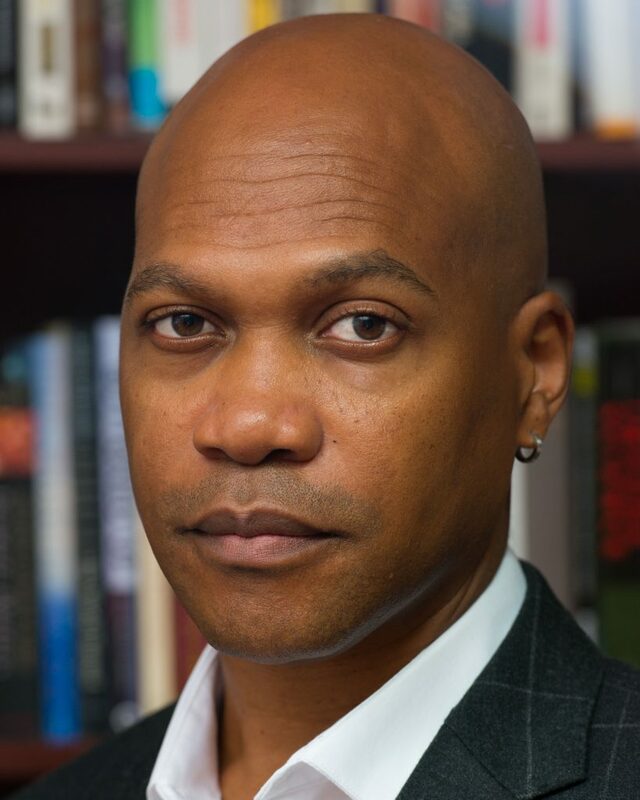 E. Patrick Johnson is Chair of the Department of African American Studies at Northwestern University. He is the author of two award-winning books, Appropriating Blackness: Performance and the Politics of Authenticity, and Sweet Tea: Black Gay Men of the South—An Oral History. He is the editor of Cultural Struggles: Performance, Ethnography, Praxis by Dwight Conquergood (Michigan UP, 2013) and co-editor (with Mae G. Henderson) of Black Queer Studies—A Critical Anthology and (with Ramon Rivera-Servera) of solo/black/woman: scripts, interviews, and essays and Blacktino Queer Performance (Duke UP, 2016). This lecture was co-sponsored by the Department of Communication and the LGBTQ Center. Suppose that something long understood as an ending was really a beginning. 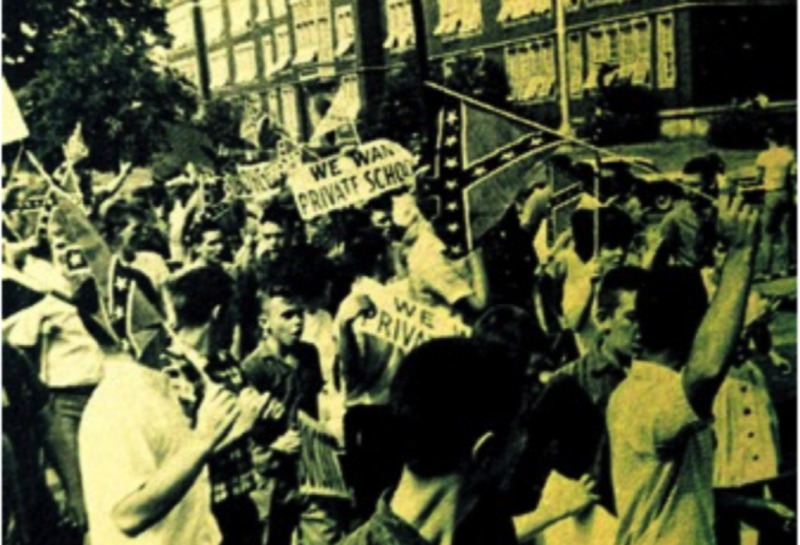 What if the white South’s massive resistance to the Supreme Court’s 1954 Brown v. Board of Education decision proved to be not just the death rattle of Jim Crow, but also the dawn of free-market fundamentalism in practice? In this James & Marguerite Hutchins lecture, Historian Nancy MacLean reveals how northern advocates of neoliberalism–the push to dismantle popular reforms of the New Deal and the Progressive Era–rallied to the segregationist call for private schools subsidized by the states, with the economist Milton Friedman in the lead. Nancy MacLean is William H. Chafe Professor of History and Public Policy at Duke University and Director of the Center for the Study of Class, Labor, and Social Sustainability. 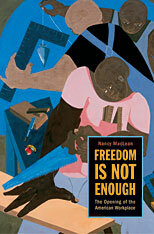 She is the award-winning author of Freedom Is Not Enough: The Opening of the American Workplace (Harvard UP); Behind the Mask of Chivalry: The Making of the Second Ku Klux Klan (Oxford UP); The American Women’s Movement, 1945-2000 (Bedford/St Martins); and, with Donald T. Critchlow, Debating the American Conservative Movement: 1945 to the Present (Rowman & Littlefield). Her latest book, Democracy in Chains: The Deep History of the Radical Right’s Stealth Plan for America, will be published by Viking/Penguin in the spring of 2017. This lecture, which is free and open to the public, will be held in the University Room at Hyde Hall. Light refreshments will be served. Sometimes called the “Holy City,” Charleston, South Carolina is one of America’s oldest and most historic cities. It has won numerous awards for its residents’ politeness, and it has been chosen as a top destination for world travelers. However, the nation was shocked by the racially motivated murders that occurred at Emanuel African Methodist Episcopal Church in the summer of 2015. The reverberations of this tragic event were felt most powerfully across the South, where they amplified ongoing and crucial debates about the region’s understanding of history, memory, and race. In this lecture, Powers will examine the meaning of what happened in Charleston, the cultural introspection it triggered, and its ongoing significance for understanding life in the South today. 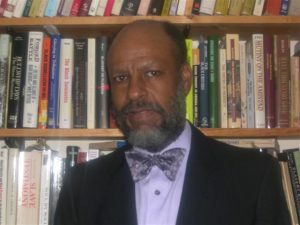 Bernard E. Powers, Professor of History at the College of Charleston, has published numerous works on African American social and cultural evolution. His book Black Charlestonians: A Social History 1822-1885 (University of Arkansas Press, 1994) won a Choice Award for Best Academic Books. 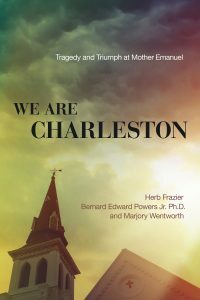 Powers also served as associate editor for The South Carolina Encyclopedia (Columbia: USC Press, 2006), and he recently co-authored We Are Charleston: Tragedy and Triumph at Mother Emanuel (Thomas Nelson, 2016). This lecture, to be held in the Pleasants Family Room at Wilson Library, is free and open to the public. Light refreshments will be served. 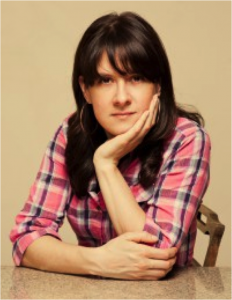 Our first James & Marguerite Hutchins Lecture of the semester, titled “Southern Hunger and the American Food System,” was presented by award-winning journalist Tracie McMillan. McMillan is author of the bestselling study The American Way of Eating: Undercover at Walmart, Applebee’s, Farm Fields and the Dinner Table (Scribners, 2012), which poses the question, “What would it take for us all to eat well?” She has written about food, labor, and class for The New York Times, the Washington Post, National Geographic, Harper’s Magazine, Mother Jones, Saveur, and Slate. The American South is often celebrated for its rich food heritage and its powerful influence on American cuisine, but the region’s culture and politics are also linked to the darker side of food. McMillan will discuss how modern American food issues like hunger, wages, and labor are deeply tied to the history of the South. 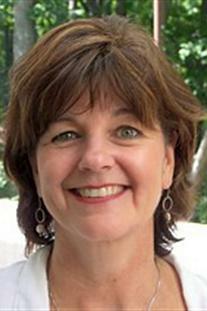 You can read more about McMillan’s work on “The New Face of Hunger” here. Did you miss our featured speakers last semester? Not to worry–all three lectures are now available online. David Garcia discusses “Music of Latin@s and their Predecessors in the United States before 1900”; Angela Jill Cooley examines the “evolution of urban food culture in the Jim Crow South”; and Gregory D. Smithers uncovers the origins of the Cherokee diaspora.